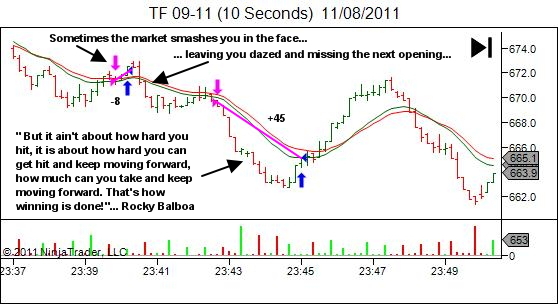 "Everyone has a plan, 'till they get punched in the mouth"
Trading is a fight! You're stepping into the ring to face the best in the world. You'd better be ready. Because they're ready for you. Have you studied your opponent? Do you know how they move? Do you know the methods they most often use to deceive you? Do you know their strengths such that you can quickly and effectively adopt a defensive mindset? Do you know when they expose their weakness so that you can go on the attack? Have you studied yourself? Are you aware of your own weaknesses? Have you planned to avoid exposing these openings to your opponent. Are you aware of your strengths and the methods required to use them effectively? Have you established a workout routine to place yourself in peak physical condition? Have you implemented sports psychology routines in order to enter the fight with a positive and confident mindset? Do you have a plan? Do you know how you're going to approach today's opponent? Are you going for the knockout punch, or are you expecting a slower, grinding session where the eventual points winner is the one who can outthink their opponent the most? Have you trained thoroughly? Have you spent session after session in the sim, or live markets, gaining experience and match fitness? Have you danced with the market as it parries and thrusts? 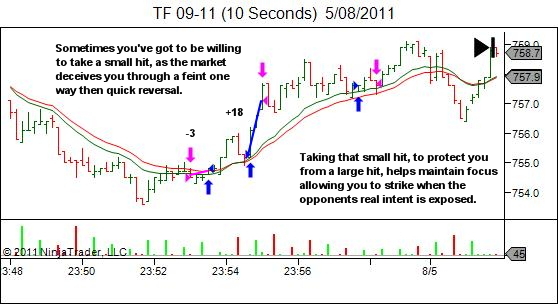 Have you learnt to take some hits, but to do so defensively so that they minimise impact. Have you learnt to spot opportunity, before it's seen by your opponent, so that you can strike hard and fast when they least expect it. Have you learnt the skill of patience; waiting out of reach for the right time to fight rather than rushing headlong into their fists. Have you learnt to reassess odds in the heat of the battle, and amend your plan when you find your opponent has the better of you. And most importantly, do you have a plan for when it all turns to s#*t. Because it will. There will be days when you take a pounding. Do you know when to throw in the towel, and step out of the ring to recover and rebuild? There will be weeks and months when you doubt that you've got what it takes. Do you have a plan to rebuild confidence and grind your way back to the top. Mike Tyson says, "Everyone has a plan, 'till they get punched in the mouth". So, how are you going to react when the markets provide you with a financial and psychological punch in the face? 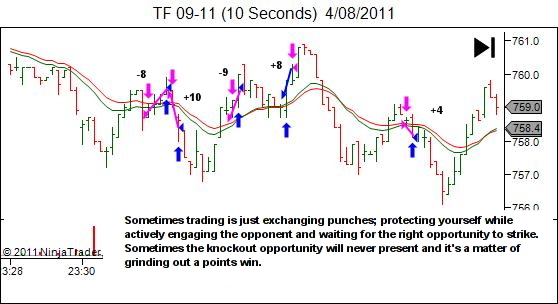 Trading is a fight. A fight that doesn't stop at one session or 12 rounds. You're welcome back in the ring again tomorrow. And the next day. And next week. And next month. And next year. Every day… until you've got nothing left. Do you have a plan? Because if you're entering the ring to fight me, I can guarantee that I have a plan to beat you. So work on your plan. And most important of all… work on yourself. "Let me tell you something you already know. The world ain't all sunshine and rainbows. It is a very mean and nasty place and I don't care how tough you are, it will beat you to your knees and keep you there permanently if you let it. You, me, or nobody is gonna hit as hard as life. But it ain't about how hard you hit; it's about how hard you can get hit, and keep moving forward. How much you can take, and keep moving forward. That's how winning is done. Now, if you know what you're worth, then go out and get what you're worth. But you gotta be willing to take the hits, and not pointing fingers saying you ain't where you want to be because of him, or her, or anybody. Cowards do that and that ain't you. You're better than that!" Bring it! Let's see what you've got! Man, you make me cry by posting such materials. While reading it, I felt like you are talking about me. And it made me cry literally.